Kyshkar and Kryvenko have signed the application for joining the faction. 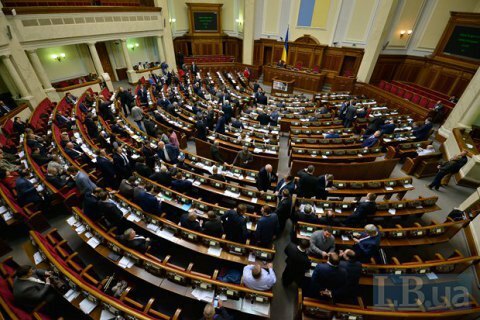 Unaffiliated MPs Pavlo Kyshkar and Viktor Kryvenko elected to parliament on the Self-Help list have applied to join the Petro Poroshenko Bloc faction, Kyshkar told journalists, RBK-Ukraine reports. "Yes, we are joining the Petro Poroshenko Bloc faction, " he said. As noted before, another former member of Self-Help, Iryna Suslova, joined the Petro Poroshenko Bloc faction on Thursday. Kyshkar and Kryvenko were expelled from the Self-Help list on 31 August 2015 after voting in favour o fchanges in the Constitution against the faction decision. For now, the Petro Poroshenko Bloc faction includes 139 Mps, and after the official joining of Kyshkar and Kryvenko its number will comprise 141. The People’s Front faction has 81 Mps. Thus, two factions lack four MPs to form a coalition of two.